SMU physicist Jodi Cooley has been named the 2019 Klopsteg Memorial Lecture Award recipient. The award, given by the American Association of Physics Teachers (AAPT), recognizes educators who have made notable and creative contributions to the teaching of physics. Cooley will be honored in July during the AAPT Summer Meeting in Provo, Utah. Past recipients of the award include well-known physicists such as Michio Kaku, Lisa Randall and Neil deGrasse Tyson. 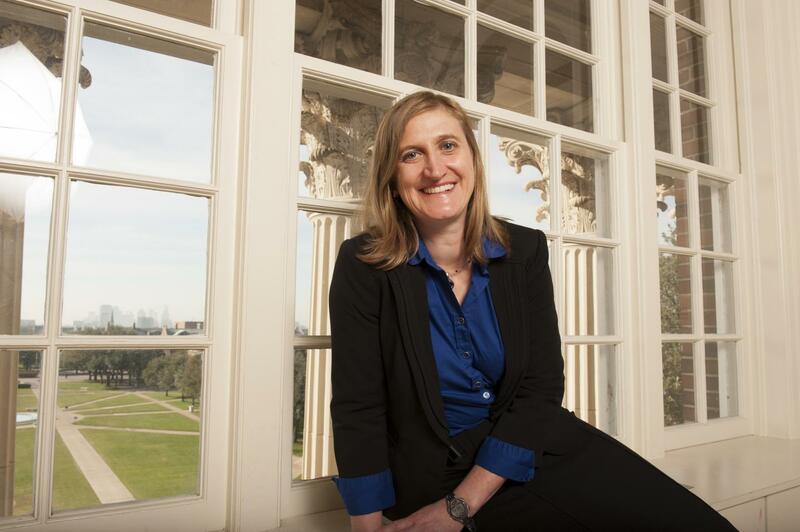 Cooley, who joined Southern Methodist University in 2009, is an associate professor of experimental particle physics in SMU’s Dedman College of Humanities and Sciences who opens her research lab to undergraduates. She will organize a campus rock hunt on Dark Matter Day, analyze an action film or bring out a Slinky to make physics real for her students. When she delivered the featured address at SMU’s 2012 Honors Convocation, Cooley spoke about the value of failure. Cooley’s current research interest is to improve our understanding of the universe by deciphering the nature of dark matter. She and her colleagues operated sophisticated detectors in the Soudan Underground Laboratory in Minnesota from 2003 to 2015. The Department of Energy and National Science Foundation is now funding construction of an even deeper location, SNOLAB in Canada, to improve the search of dark matter. Cooley will be one of the researchers at SNOLAB, using detectors that can distinguish between elusive dark matter particles and background particles that mimic dark matter interactions. Cooley is a principal investigator on the SuperCDMS dark matter experiment and was a principal investigator for the AARM collaboration, which aimed to develop integrative tools for underground science. She has won numerous awards for her research including being named a Fellow of the American Association for the Advancement of Science (AAAS) in 2018. She also received an Early Career Award from the National Science Foundation and the Ralph E. Powe Jr. Faculty Enhancement Award from the Oak Ridge Associated Universities.